Today’s recommended resources is a step-by-step tutorial on how to make an animated GIF in Photoshop. It’s definitely worth checking out. 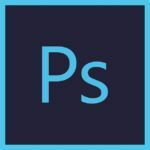 Learn how to create a GIF in Photoshop that you can use to enhance your next social media post, email, or blog article. PCMag.com has an article listing “The 11 Best iPhone Photo-Editing Apps” and I have to admit that I own more than half. If you’re going to actually spend money on one, then go with Adobe Photoshop Touch. It has a lot of great features. One of the great things about having the same software on my computer at home and at work is that I get to know the functions well. I can get comfortable with the way things are done, with the clicks and commands needed to create something. One of the challenges of having different versions of the software (and in one case, recently-updated software) is that you have to re-learn how to do things. This week I had to create a contact sheet in Photoshop. This is something I do on a semi-regular basis to give to others so they can choose photos for print, media, web, etc. In Photoshop CS4 I could do this without looking, almost. When we upgraded to 5.5 I lost my way. Luckily for me, the 4 install is still on my computer. So what I had been doing was launching CS4 and using that. This week I resolved to learning to use the new version of the software. First, I dusted off my Lynda.com subscription and looked for, and watched, the video on that topic. If you don’t have a Lynda.com account, there’s also a link to a really good article online. I’m sharing the links in case this is something you need as well. If you take digital photos for work (or family) it’s a good idea to create and print the proof sheets. This way you can do add notes next to the photos you want to use, have used, and have it offline in a binder or file.